Our final hole sweeps down as a right hand dogleg back to the clubhouse. 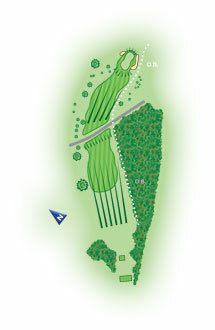 With out of bounds all down the right of the fairway, which is flanked by trees. The 18th tee presents players with a stunning panorama of Cheltenham.